On a day in early 1871, in the town of Thames on New Zealand’s North Island, a Māori woman carrying a child on her back sat for a portrait in the Foy Brothers photography studio. She had cropped black hair, a lip tattoo that covered her chin in scrolls and a Mona Lisa smile. The child looked out from under her woven cloak, his eyes wide and innocent. After taking the photo, the photographer is said to have written her name down and asked, “Is this your name?” “Ana,” she replied, which means “yes” in Māori. The image of “Ana Rupene” went around the world many times, first as a carte de visite (then-popular souvenirs of exotic locales) and later as a portrait by Czech artist Gottfried Lindauer, one of thirty he painted based on the photo. One of them was hung at the 1886 Indian Colonial Exhibition in London. Another was shown at the Louisiana Purchase Exposition, the world’s fair in Saint Louis, Missouri, where it won the grand prize in 1904. More recently the image has appeared as tags on straw brooms in New Zealand’s hardware stores and for sale in stalls in Singapore and Malaysia. But despite her ubiquity, Ana Rupene remains a cipher. de Young Museum is exhibiting thirty-one portraits of nineteenth-century Māori by Czech artist Gottfried Lindauer. Above, Lindauer’s best-known image: a portrait of Heeni Hirini, based on a photograph taken in 1871. That is, until recently, as Lindauer’s work has gained increasing attention. Many of Lindauer’s subjects were well-known figures in New Zealand history—mer-chants and chiefs, warriors and diplomats, traders and tour guides, military men and a female composer. In 2013 the Māori Television documentary Behind the Brush focused on the lives of the people Lindauer painted, using interviews with descendants and art historians. In 2014 and 2015 grand exhibitions of the artist’s works were mounted in Berlin and in Pilsen, Lindauer’s hometown. In 2016 the Auckland Art Gallery Toi o Tāmaki displayed an important selection of his work, and through May 2018 thirty-one portraits will hang in San Francisco’s de Young Museum. 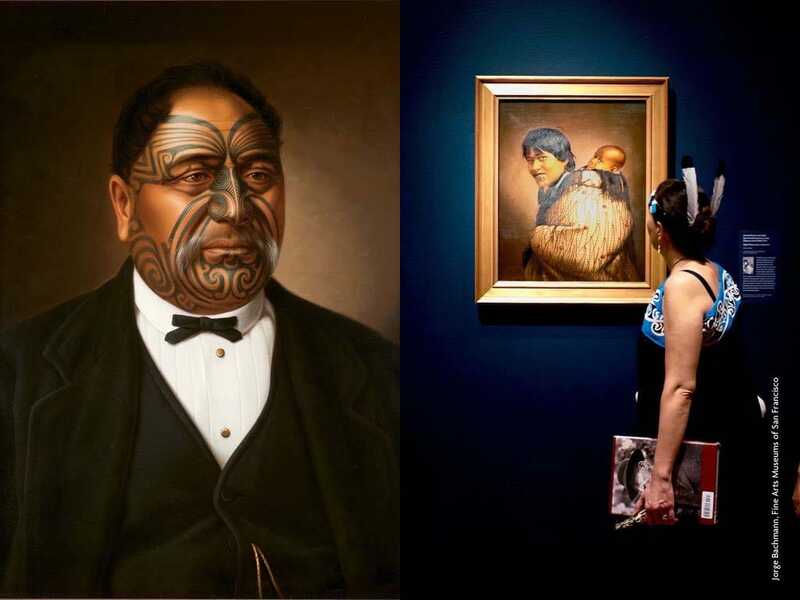 That exhibit, Gottfried Lindauer’s New Zealand: The Māori Portraits, marks the first major showing of his work in the United States. Together the art, the catalog and the storytelling bring to life the vibrant and turbulent history of nineteenth-century New Zealand. Lindauer was born in 1839 and grew up in Pilsen and attended the Academy of Fine Arts in Vienna at 16. His teachers were interested in the Nazarene School, which focused on the restoration of Christianity in the arts. Lindauer returned home, painting commissioned portraits and church murals. It’s likely he encountered Māori artifacts on display at the 1873 Vienna World Exposition, and he may have imagined New Zealand, as did many at the time, as one of the last paradises on Earth. New Zealand was also home to a growing number of Europeans in need of a professionally trained portraitist. Lindauer arrived in Wellington in 1874. The islands of Aotearoa were among the last places settled by humans, with Polynesians arriving about 1,100 years ago. A Dutch navigator came upon the island in 1642 and named them Nieuw Zealand after a Dutch province. After Captain Cook circumnavigated the islands in 1769, whalers and traders started arriving, followed by Christian missionaries in 1814, then European settlers. These whites, called Pākehā, joined a Māori population of about one hundred thousand. At the time, New Zealand had no national government, no formal laws and no organized way of selling land. Disagreements between Māori and Pākehā threatened lives and trade, and many feared that New Zealand might be taken over by France. After petitions from the Māori and various negotiations, the Treaty of Waitangi was signed in 1840, making New Zealand a British colony. The Māori version of the treaty was eventually signed by more than five hundred chiefs, and many Māori welcomed new economic opportunities. Some advanced in the ministry and in colonial government. Tamati Waka Nene, a rangatira, or chief, is pictured here with the symbols of his status: a kahu kiwi (kiwi-feather cloak) and greenstone earring. But as European settlement increased, conflict followed. The year 1858 marked the founding of the Kīngitanga, or King Movement, which aimed to unite the tribes and promote Māori sovereignty over their remaining territories. Land wars broke out in 1864, pitting the colonial militia (supported by British troops and friendly Māori) against powerful tribes. The Māori won admiration for their fighting skill; during the Battle of Gate Pā, a Māori force of about 235 warriors defeated a combined British regiment and naval brigade of some 2,000 men. The Māori won that battle but they lost the war. By the time Lindauer arrived, immigration was at its height, and the Māori were being subjugated by the British. Introduced diseases were ravaging the population. Land was being seized. In 1875 Lindauer met his most important patron, Henry Partridge. The British-born former sailor and adventurer had become rich in gold mining and owned an Auckland tobacco business. He was ready to indulge his keen ethnographic interest and commissioned work that documented both Māori and Pākehā in a time of great change. Lindauer accepted the charge of capturing Māori character and customs, becoming a self-conscious “painter-ethnographer” until 1903. Many of his subjects were rangatira (leaders of esteem and rank). Some were rebels who defied the colonial government; others were peacemakers who defended it. Some, like Te Paea Hinerangi, a.k.a. “Guide Sophia,” were more ordinary heroes. A half-Māori, half-Scottish woman born in 1832, Guide Sophia took it upon herself to lead visitors from around the world to Lake Tarawera, which lies in a volcanic caldera on the North Island. In doing so, she founded New Zealand’s tourist industry, charging people £2 to be ferried across the lake to the the Pink and White Terraces, often called the “Eighth Natural Wonder of the World,” and to bathe in geothermal pools. She charged another £5 if they wanted to make a sketch or take a photo. One day in 1886 Guide Sophia was out in a longboat with tourists and noticed that the lake appeared to be rising. She sighted a phantom canoe coming out of the mist, then disappearing. Seeking guidance from a seer, she was told that she would survive what was to come. Days later a glow spread over the mountain. Her husband yelled, “The world is on fire!” The ground trembled. People ran in all directions. As rocks and stones rained down, Guide Sophia ushered sixty-two people into her home; they used the chairs inside to prop up the roof. The eruption of Tarawera was catastrophic, destroying the terraces, burying the village and devastating tribal lands. But the next morning Guide Sophia emerged from her house with her sixty-two wards. Lindauer’s portrait captures Guide Sophia after she had achieved renown. She gazes straight at the viewer, her long hair falling over her chest. Kīngi Tāwhiao, considered the second Māori king and leader of the Kīngitanga Movement, which sought autonomy from the British government. Lindauer painted some subjects, like tribal leader Paora Tuhaere, more than once. He had been groomed to live in both worlds: He was schooled by Anglican missionaries, given the mantle of governance by his uncles (signatories to the Treaty of Waitanga) and mediated between the government and tribal leaders over land use issues and ocean rights. One portrait depicts him in a suit made of fabric from Bond Street; in the other he wears a cloak of piupiu, or flax-strand. An example of Lindauer’s attention to sartorial detail is his portrait of Kīngi Tāwhiao, the paramount chief of the Waikato Tainui tribes from 1860 to 1894, also known as “the second Māori king.” He has a majestic countenance, conferred by his regal bearing and confirmed by what he wears and carries: a virtual ocean of kiwi feathers, a white war club, redtipped shark-tooth ear pendants and, above all, his rangi paruhi. Lindauer (seen above) saw himself as both a portraitist and ethnographer. He took great care to reproduce the details of his subjects’ dress, accoutrements and moko, or tattoos. Lindauer’s portraits didn’t appeal only to ethnographic interests; they appealed to aesthetic ones, too. The portrait of Ana Rupene shows both the vivid realism and the radiant light he created for the portraits, reflections of his Vienna training in religious painting. The portrait of Tāwhiao also features another key component in his work: photography, at which Lindauer was proficient. Many of his portraits are, like this one, based on his own photographs or on cartes de visite, the hand-size cards that were easy to reproduce, inexpensive to take home to Europe and part of a growing market for ethnographic photographs. Lindauer would often transfer a photograph to the canvas, drawing out the image on a white background. In a time before color photography, the realism of his portraits caused a sensation. His colors captured details of feather cloaks, green-stone earrings and pendants, blue-green tattoos. He applied layers of glazes, adding a transparent layer of oil that gave the portraits a hard-to-ignore luminosity. In Māori culture such images are seen as powerful embodiments of tīpuna (ancestors) that themselves contain the mana (spiritual power) of the subjects. Over generations, families have revered Lindauer’s portraits, visiting them in art galleries or hapū marae (family gathering spots) and giving them a place of honor at tangihanga (funerals) and other important occasions. Stories are told. These narratives—genealogies, war stories, social histories and intimate family details—live with and within the portraits and are care-fully curated by the families. Many of Lindauer’s portraits are based on his own photographs. He would often transfer a photograph to the canvas, drawing out the image on a white background. In a time before color photographs, the realism of his portraits caused a sensation. Above, Māori Children Playing Knucklebones, 1907. In her later years, Hirini is said to have wandered around the settlement among the blackberries in a stately white dress, brandishing a clothesline pole. Members of the family called her Werohia, meaning “to challenge.” She would wave her long stick to instruct children on the virtues of good manners as they helped themselves to her famed oranges growing on a tree near the boundary of the family homestead. Along with the revival of interest in Lindauer’s work, the debates surrounding it have also reinvigorated. Some descendants argue that the portraits should be given to the families. Some disagree about the stories of their ancestors. Others compare photos with the portraits and note that Lindauer used an “airbrush” approach. Still others lament the hardship that the portraits omit. Many Māori today come to view Lindauer’s portraits because they are thought to preserve the mana—or spiritual power—of their subjects. 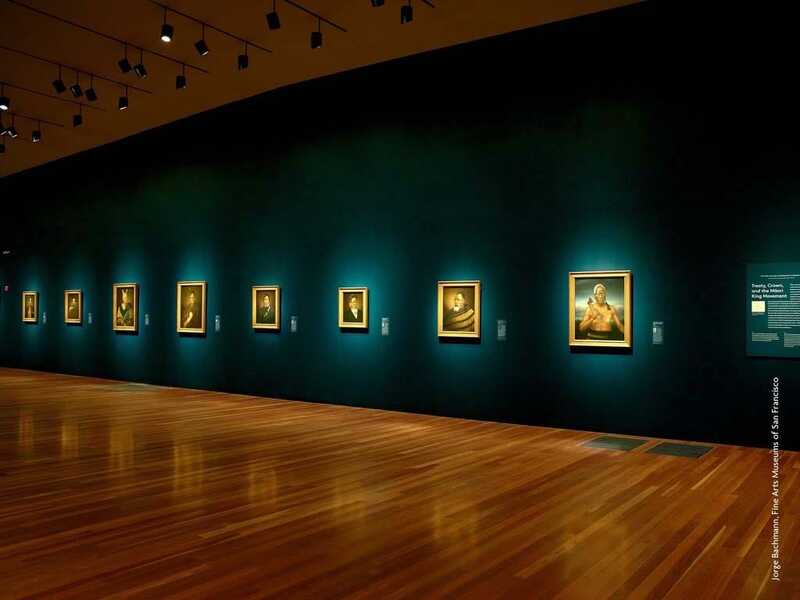 Nevertheless, the family cherishes the portrait, which hangs in the Auckland Art Gallery. The gallery’s visitor log records that McEnteer’s great-uncles visited in 1910; since then family members have continued to pay respects. “For myself and for my whānau (family),” he says, the Wātene painting “provides that connection to reflect upon her as a person and on all the … circumstances of the time. “We have most of the items that she was painted with,” McEnteer adds. They do not have, however, the heitiki that hangs around Wātene’s neck. Many of Lindauer’s portraits feature these greenstone pendants, which represent Māori gods and were traditionally passed from father to firstborn. Pare Wātene’s heitiki was passed to a grandniece in California, who carried it with her always. Fighting tears, McEnteer says that Wātene’s heitiki was stolen from his auntie’s purse in a San Francisco restroom, but he has faith that it will one day find its way back.